Happy International Beer Day! Is Bum Wine Bob getting ready to become Craft Beer Bob? Well I wouldn't go that far just yet. We are continuing to expand the bumwinebob.com brand a little more each day and today is no different. If you haven't heard by now, I will be welcoming Amanda (@greatbeerwomen) from The Great Beer Adventure Podcast to this weeks edition of the BWB Podcast to discuss an introduction to the world of craft beer. As a special treat and to get myself ready for Sunday, I decided to take the plunge into the world of craft beer myself and give something new a try. 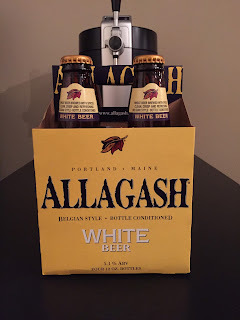 After having a discussion with Amanda about what type of beer would fit my needs, we decided upon Allagash White. Now I have had some good and bad experiences in the past when it comes to fancy beers. Mostly things have been a miss for me when taking a trip outside of my comfort zone. Craft beer is a far cry from what I am used to in the world of 40's and other cheap beers. These days with such a vast variety of craft beer out in the world and more popping up each day, it's easy to find yourself getting lost in the whole process. Now the price of $10.99 for a four pack may seem a little steep, but it is an enjoyable beer. Coming in at 5.1% ABV it is at a lower alcohol content than most craft beers, but can still get the job done. It's not too overpowering like some IPA types of craft beers with it's taste, and this one can be seen as very refreshing and perfect treat for summer. I do have to say that after trying the Allagash White I can now add it to my list of approved beers and will also add it to the list as an official Bobcat Beverage! You get the Bum Wine Bob approval, but what does Amanda want you to know about this beer? 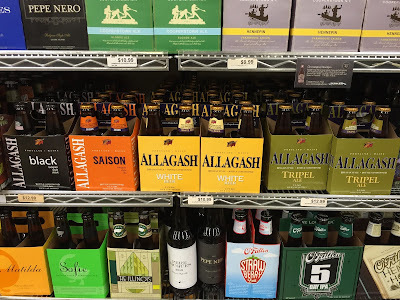 "Maine is home to some amazing beers! But it wasn’t until 1986 and D.L. Geary that Maine really started coming back from prohibition. (Maine actually lead the nation in prohibition! Sorry for that.) A handful of breweries started production between then and 1995. But it was in 1995 that Rob Todd started making history. He opened Allagash Brewing and brought Belgian style beers to Maine and really raised the bar for this country. 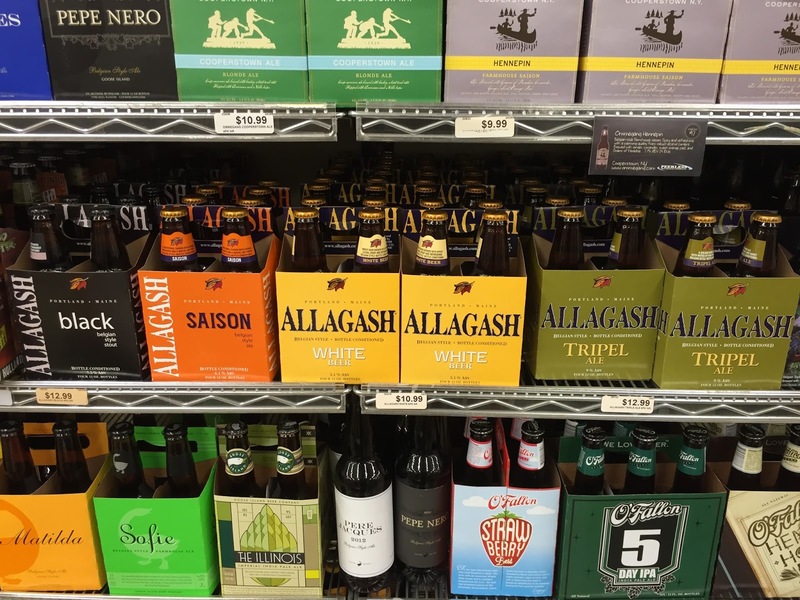 Allagash White is the breweries flagship beer. It is a wheat beer with spicy flavors including pepper and coriander. The orange, lemon, citrus flavors really lend themselves to be gentle on new craft beer palates. This beer is less “beer” and more of a refreshing, effervescent delight. Allagash White can be found around the country on tap. 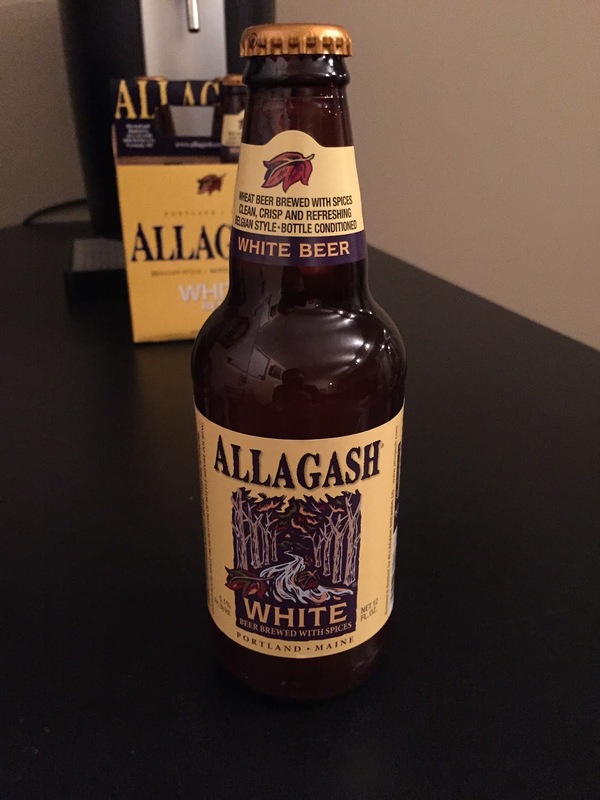 Next time you go out to a bar or to dinner and see Allagash White, get it. It will pair nicely with just about any meal. Different food flavors will bring out slightly different characteristics in the beer. I think I’ll go have one right now with a nice summer salad and some grilled steak. Cheers!" Be sure to tune in this Sunday at 11AM ET for this weeks edition of the BWB Podcast where Amanda will be joining me on the show! We will be discussing how the craft beer market is doing many creative things these days and how getting into it through your own favorite flavors will allow you entry into this very artistic movement. It will be fun AND educational! Make sure to grab a beer and join us! Cheers!